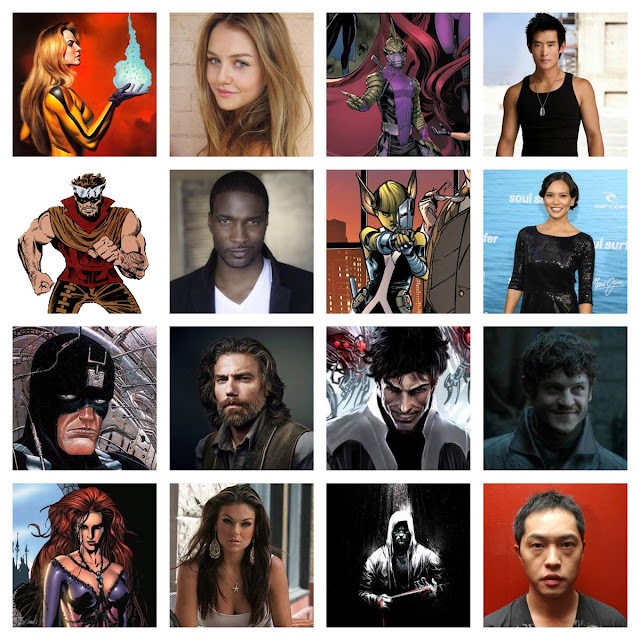 Eme Ikwuakor, Isabelle Cornish, Mike Moh, Sonya Balmores, and Ellen Woglom will round out the cast of “Marvel’s Inhumans” television series for ABC. This completes the casting for key roles in this groundbreaking series. Isabelle Cornish (Crystal), Eme Ikwuakor (Gorgon), Mike Moh (Triton), Sonya Balmore (Auran) & Ellen Woglom! Eme Ikwuakor (“Concussion,” “Extant”) as Gorgon – Cousin of Black Bolt (Anson Mount), member of the Royal family, and leader of Attilan’s military. With super strong legs, complete with hooves, he can generate destructive seismic waves with a single stomp. The yin to his cousin Karnak’s (Ken Leung) yang, Gorgon would rather fight than talk to solve his problems. Isabelle Cornish (“Australia Day,” “Puberty Blues”) as Crystal – Medusa’s (Serinda Swan) sister, Crystal is the youngest member of the royal family and has the ability to control the elements. Impetuous and independent she is also deeply devoted to her family. Mike Moh (“Empire,” “Street Fighter: Assasin’s Fist”) as Triton – Black Bolt’s cousin, he’s calm under pressure and supremely athletic. His gift is his fish-like ability to live underwater. Sonya Balmores (“Beyond the Break,” “Soul Surfer”) as Auran – Head of the Royal Guards on Attilan, a capable and no-nonsense woman. She is fiercely loyal to the King of Attilan. Ellen Woglom (“Californication” “Outlaw”) as Undisclosed Character – smart, intense, and focused—so focused that oftentimes, social skills take a back seat. Her job at a private aerospace company is her life, second only to her passion for all things space and lunar. She’s primed to be swept up in an adventure. Lockjaw as himself – Crystal’s 2,000 lb canine companion; he is a two-thousand-pound dog (yes, a dog!) with the ability to teleport. Marvel recently announced that “Hell on Wheels” star Anson Mount will star as Black Bolt, Iwan Rheon (“Game of Thrones,” “Misfits,” “Vicious”) will portray Maximus, Serinda Swan (“Ballers,” “Graceland”) has been cast as the queen, Medusa and “Lost” alum Ken Leung is set as Karnak,. “Marvel’s Inhumans,” were first introduced in Marvel Comics by Stan Lee and Jack Kirby in 1965. Since that time, they have grown in prominence and become some of the most popular and iconic characters in the Marvel Universe.